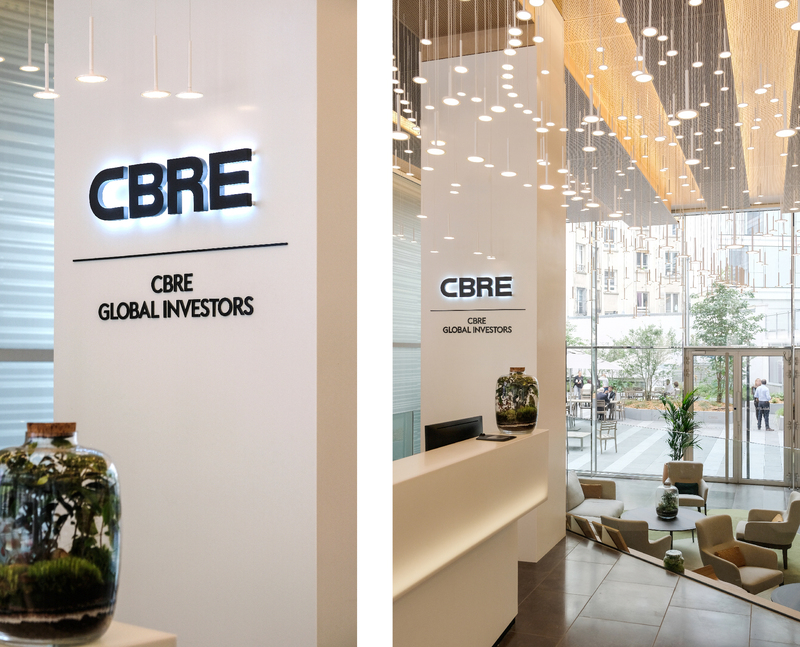 CBRE Group is a commercial real estate services and investment firm. 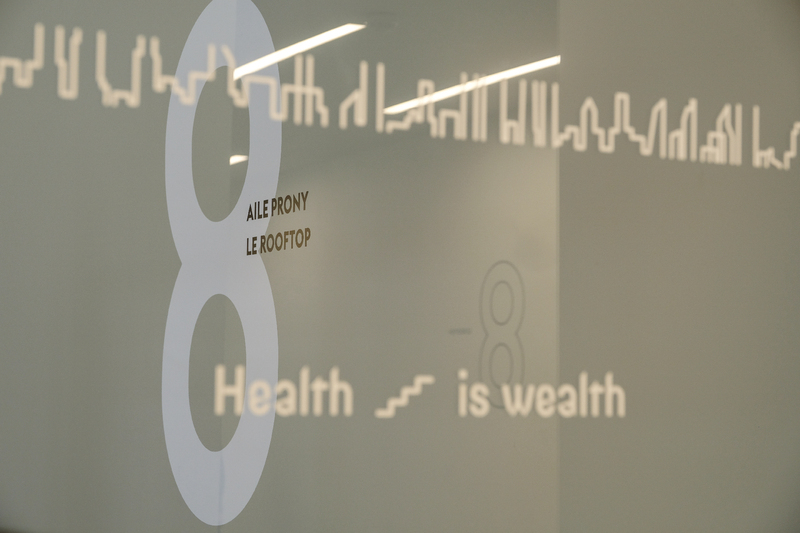 It is the largest company of its kind in the world. 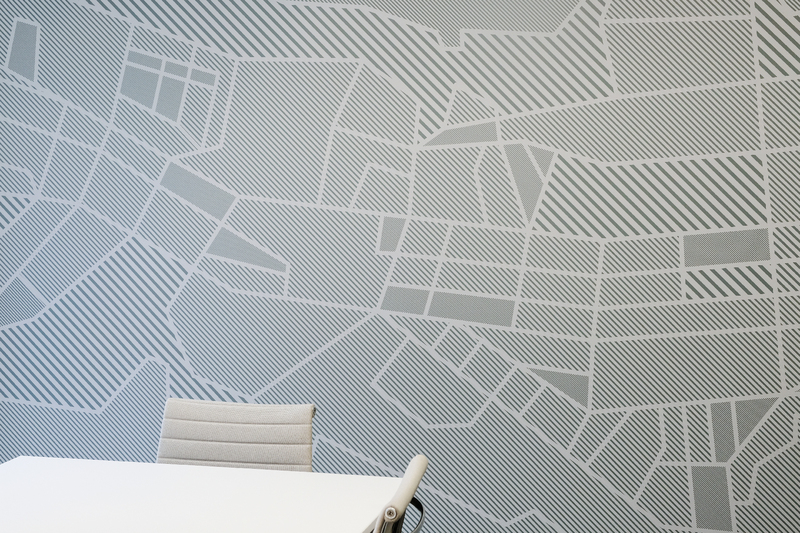 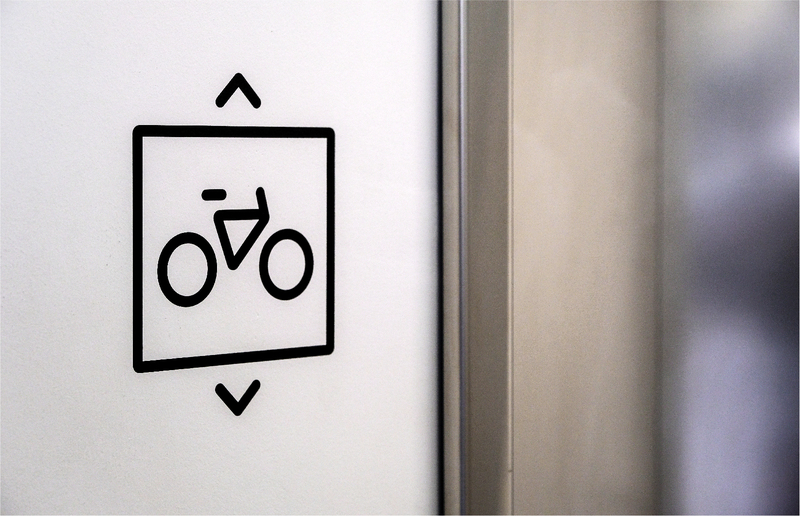 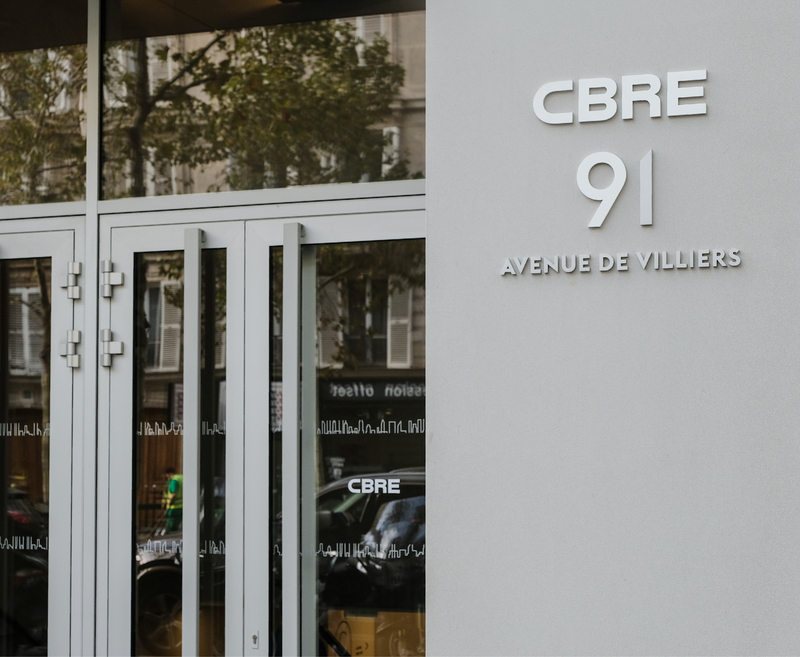 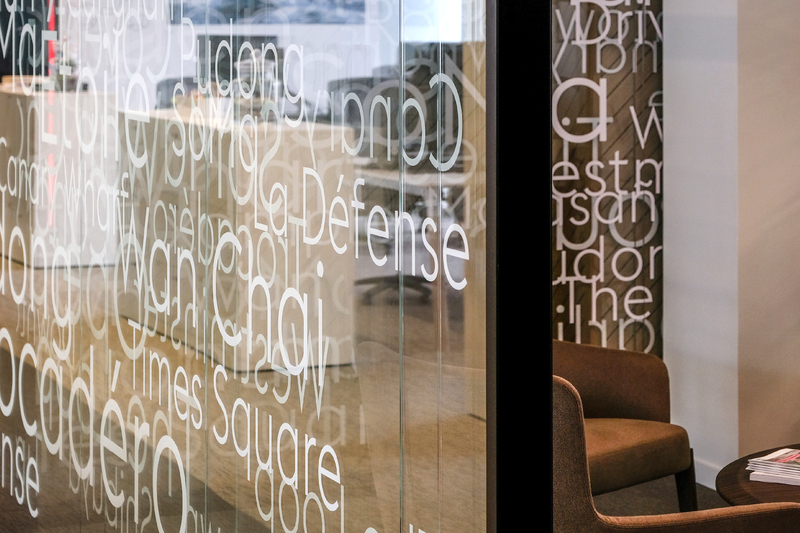 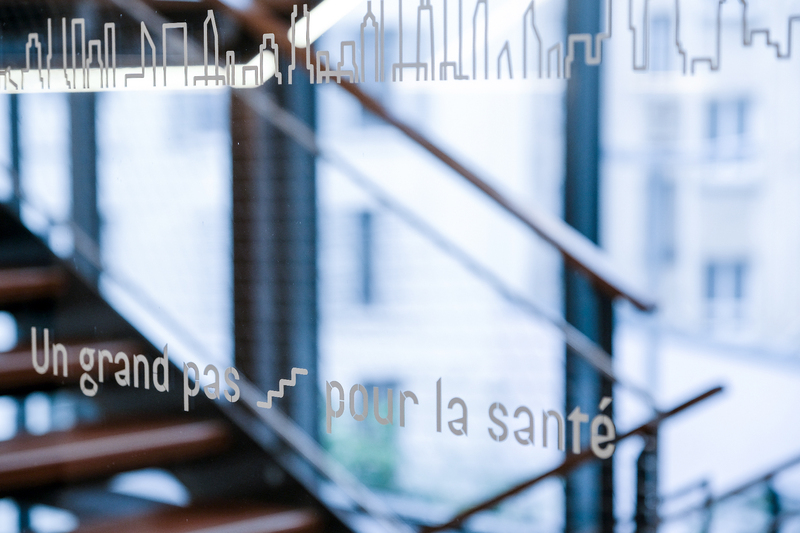 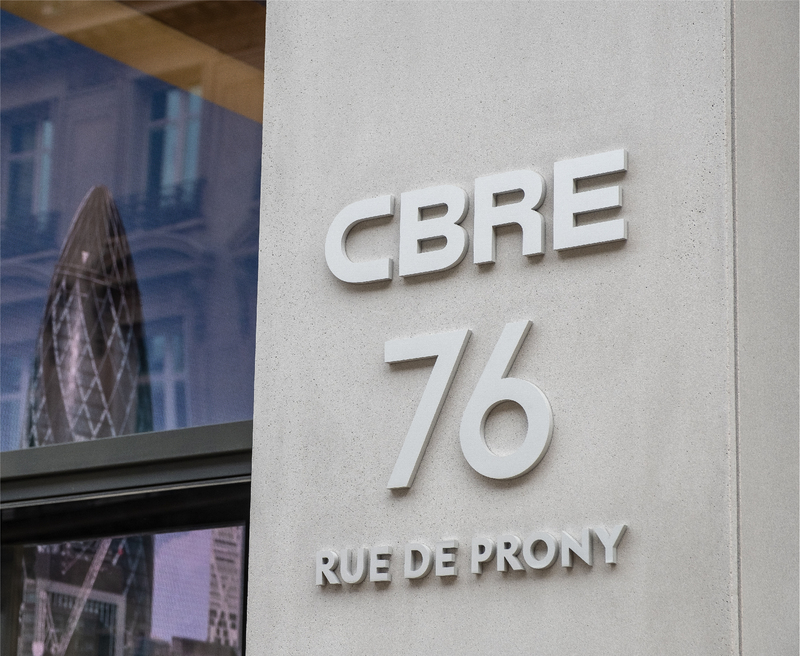 In 2018, A&Mcreative was tasked by CBRE France to create the wayfinding system and interior graphic for its Paris headquarters. 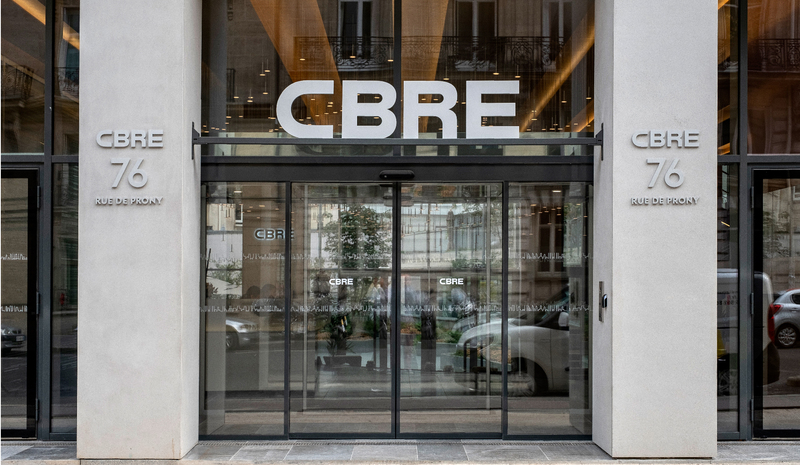 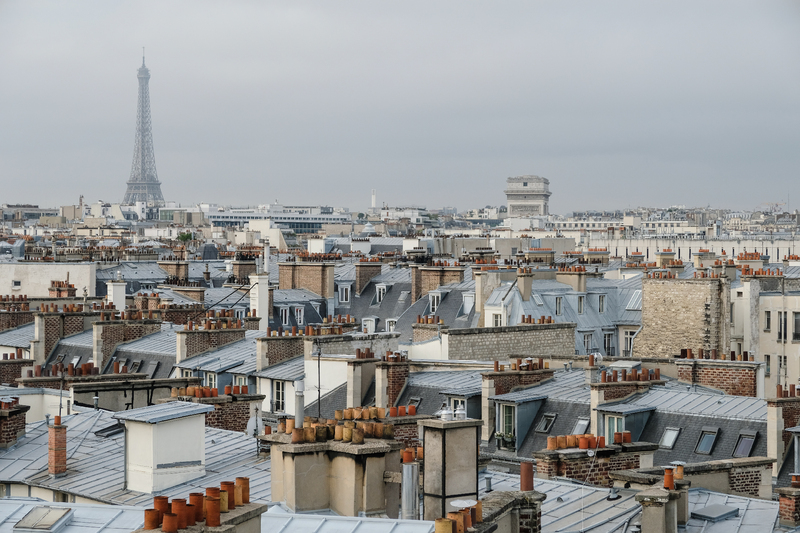 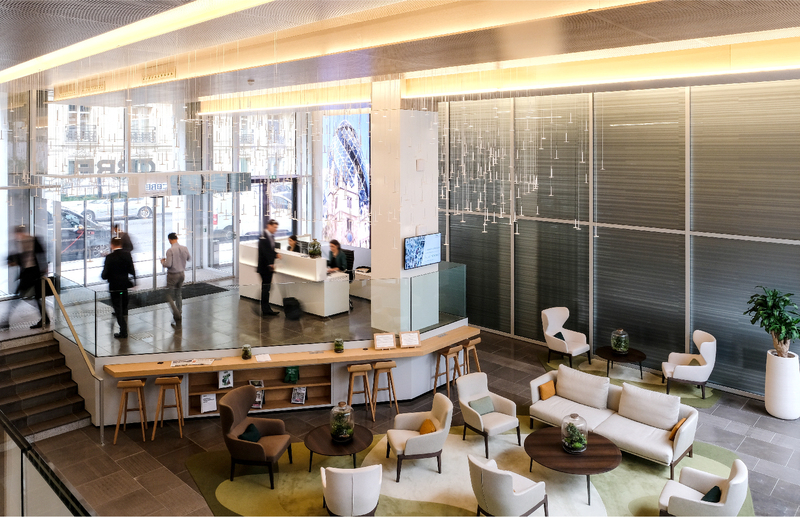 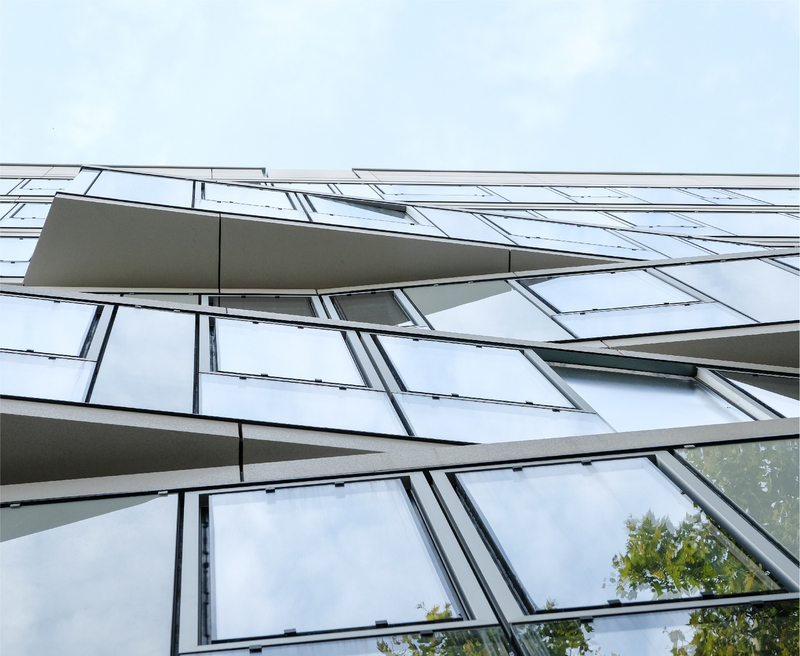 The building, situated in the heart of Paris and comprised of 10 floors amounting to a total of approximately 8,000 square meters, is conceived as a state of the art workspace. 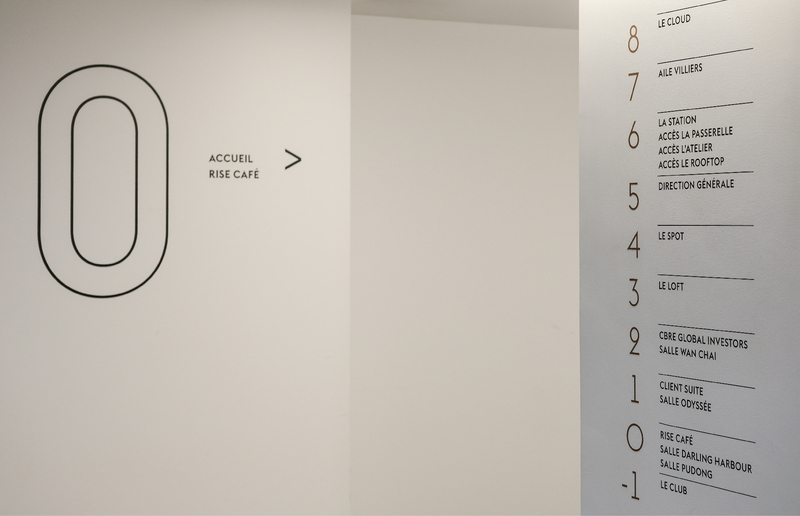 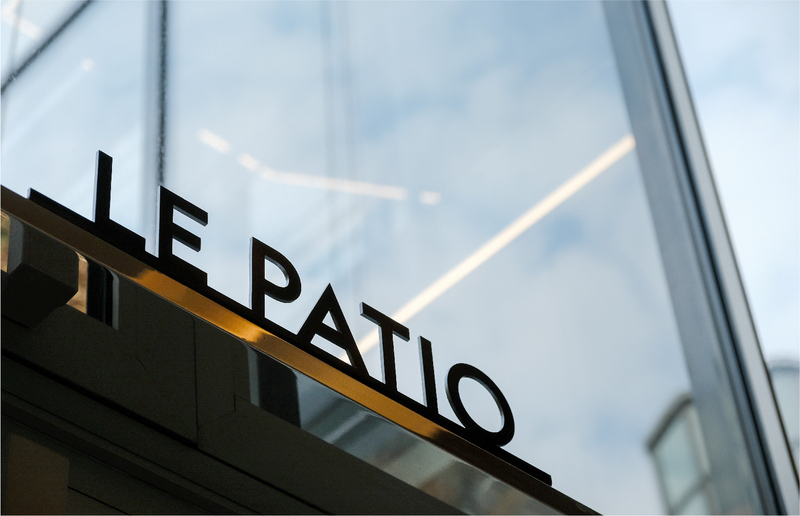 A&Mcreative proposed a tailor made & contemporary signage system, alongside graphic and modern decors, to create a high-end experience for both collaborators and visitors. 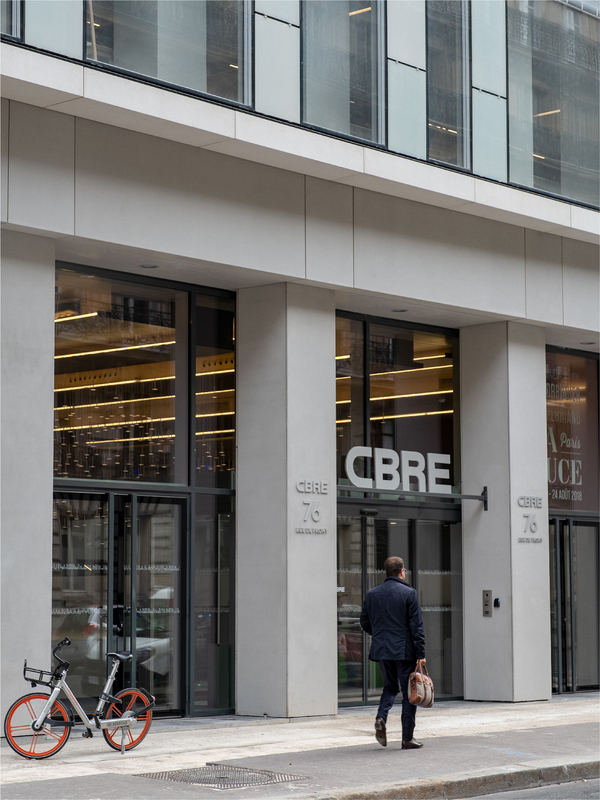 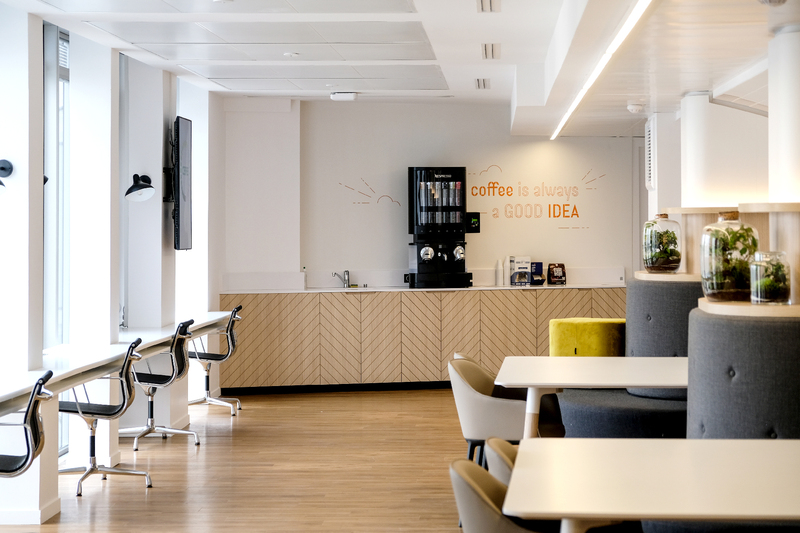 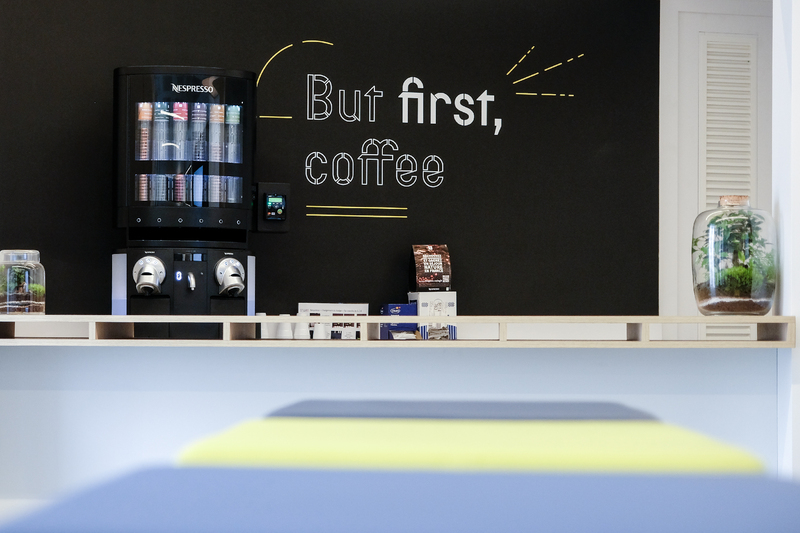 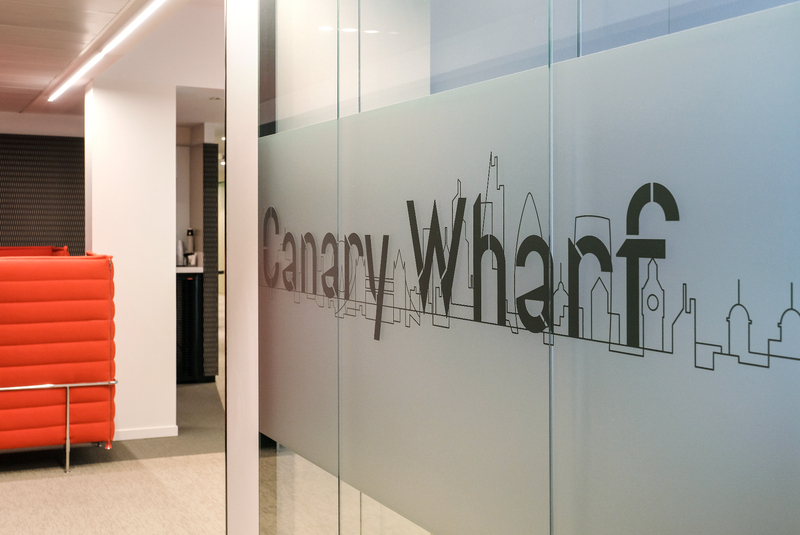 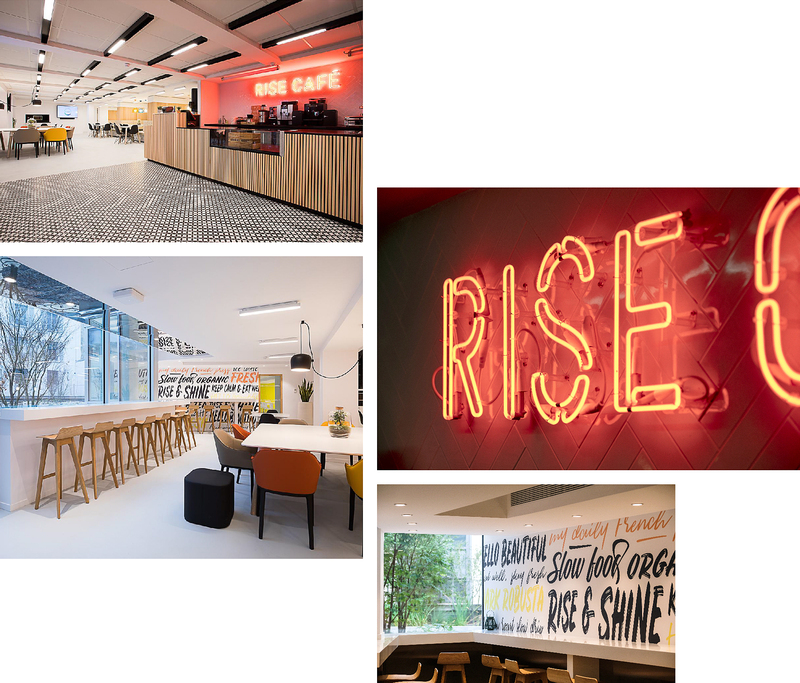 The materials and colours were carefully selected, working alongside the architect and the CBRE team, to make a bold statement as to CBRE’s know-how in designing large scale premium office solutions. 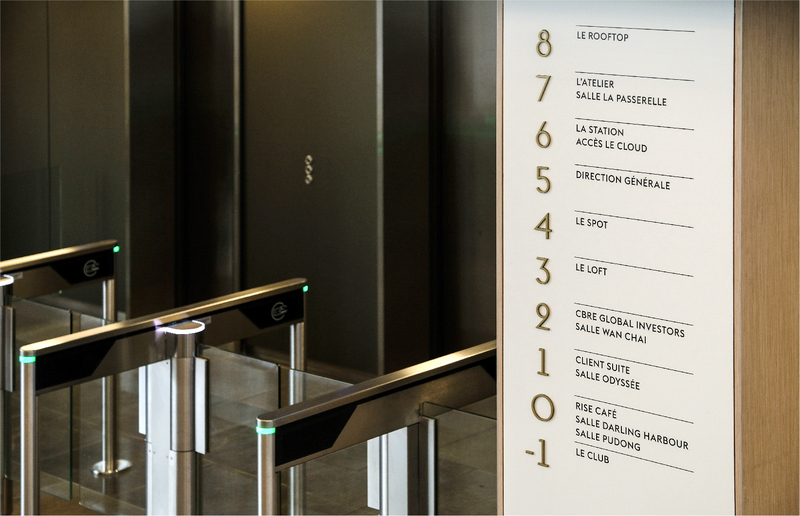 A&Mcreative’s intervention ranged from the planning of the wayfinding and decor elements, to their delivery and installation throughout the building.